t. Download the registration file below and save it to your computer. 2. Open the file using Adobe Reader and print it out. 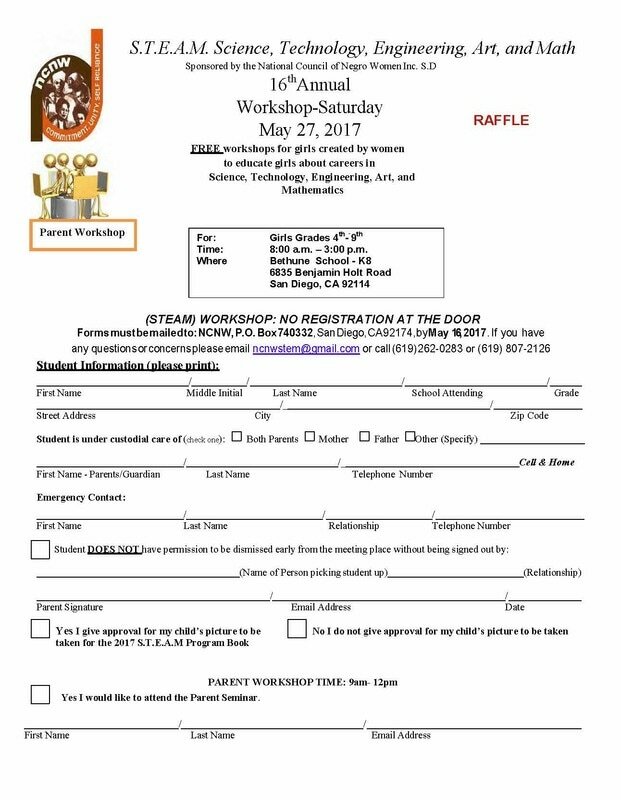 NCNW received the grant and organized its first S.T.E.A.M program for girls in the 5th through the 11th grade in 2001.